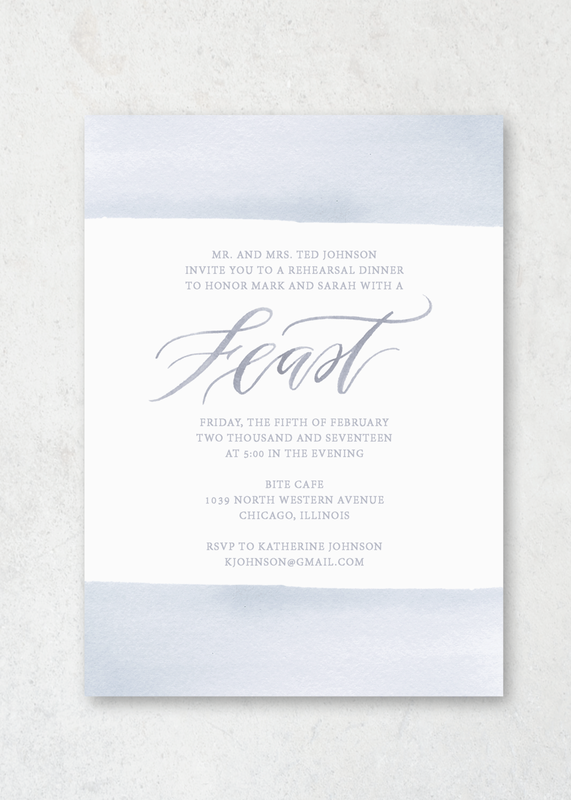 Event invitations can be used for coordinating invitations to a welcome party, rehearsal dinner, or Sunday/farewell brunch. They measure 4.5x6.25’’ and are printed on high-quality bright white or soft ivory eggshell finish card stock. They can be included in the same envelope as the invitation, or they can be sent separately. If you wish to mail them separately, coordinating envelopes are available only upon request - please contact us to order. For wording suggestions and etiquette details, refer to the etiquette page. * For questions about paper color, paper thickness, postage, and customization, refer to our Wedding Collection FAQ.